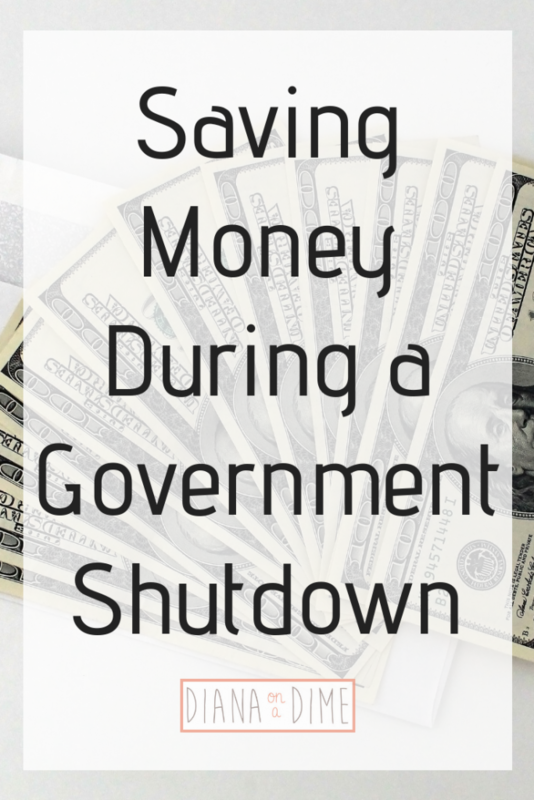 Last week I posted about saving money during a government shutdown. This is to help the many people that are struggling to make ends meet currently while not being paid. The reality of our government is that a furlough can happen at any time and with little notice. Not enough to prepare at least. 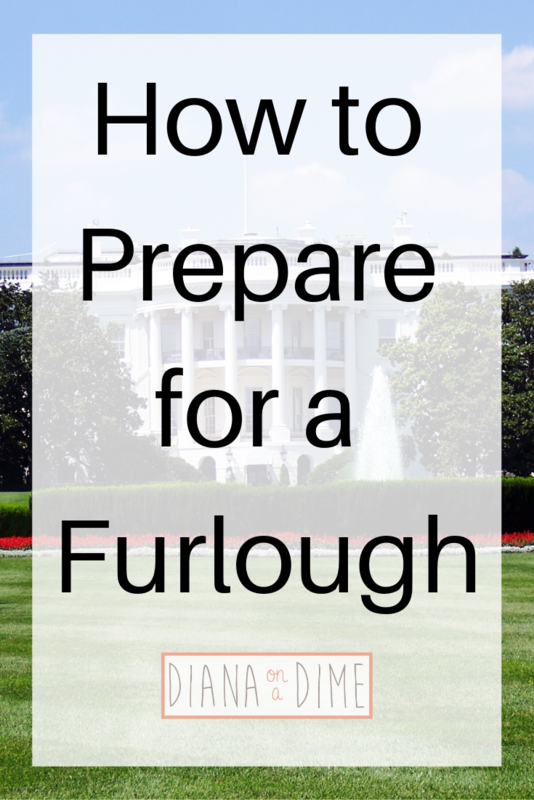 That’s why I’m sharing with you how to prepare for a government furlough because realistically, it’s going to happen again. Why not take this experience and learn from it. Make sure that you’re never in a situation that you are struggling again. Yes, this is the longest government shutdown we have ever had, but it definitely is not the first. This means that we can and should prepare for this because it’s going to happen again. Realistically, everyone should follow this advice because it makes for financial security in the event of something unexpected happening. Anyone can have a situation arise that throws their world upside down leaving them scrambling, not just from a furlough. 1. Track your expenses & make a budget. The very first thing you need to do is track your expenses for a month and create a budget. By tracking your expenses, you are seeing exactly where your money is going. This allows you to easily see your expenses in a given month. It also makes it much easier to determine your expenses that are not fixed, like groceries. Once you have tracked your expenses, you need to create your budget. Start with your income and then list your fixed expenses, followed by your other expenses like groceries. I recommend a zero based budget, you can find a post that outlines how to get this set up here & how to budget on a variable income here. I also have created some easy templates on Google Sheets to track your expenses and create your budget, with the formulas all done for you! 2. Save your emergency fund for a furlough. Once you have created your budget, all of your leftover money needs to be heading towards your emergency fund. This is why I recommend a zero based budget, at the end of the month, you zero out your budget by sending all left over money to whatever money goal you are working on. This will allow you to quickly save your emergency fund because you have budgeted every penny in your budget. Any extra money you have come in during this time, like refunds or bonuses, goes to your emergency fund. This should be kept in an account that is somewhat easy to get to in the event of an emergency, I keep mine in a savings account with Ally. I recommend at least 3 months of expenses in your emergency fund, but you can find out more information about it here. 3. Lower your minimum expenses for a furlough. The best part about budgeting is that you can easily see exactly where your money is going every single month. The goal is to get your required minimum expenses to be as low as possible. The reason this is important is because when you are in another furlough situation, you don’t want to need to use your emergency fund. By having low or no required payments each month you are allowing yourself to go longer without using it. There are many ways to lower your expenses, I wrote all about it here, but I also recommend finding ways to have low housing costs and minimum to no debt. Paying off your debt means that you won’t owe money when another furlough happens, you’ll be able to stretch your money much further. Paying off debt obviously doesn’t happen over night, I’m still paying off my $201k after over 3 years, but I am down to $88k now. It takes time, but with a plan in place, you can do it. I recommend creating a debt payoff plan using undebt.it, this will allow you to create a plan and help you execute it. Another recommendation would be to refinance your student loans for a better interest rate, you can use my referral link to get $200 when you refinance! We know that another government shutdown will happen and I want you to be prepared for it! By executing these steps, you will be prepared for when you experience another furlough and won’t be put in a terrible situation. I’d love to hear from those impacted by this government shutdown and how it has affected you. Everything that is going on right now with the government in the United States breaks my heart. I can’t believe how many Americans are not being paid right now during the government shutdown. There are many that are working and will eventually get paid and others that are not working and will not see money that they were anticipating to come. This has been the longest government shutdown in U.S. history and I hope that it ends soon. The reality is though that this happens in our government and I hope I can help you to save money during and prepare for a future shutdown. 1. Look over your expenses and cut all unnecessary expenses. There are plenty of expenses that can be cut out. Going out to eat, shopping, your grocery budget, hair cuts, anything that isn’t an absolute necessity, cut it out for now. Go through your pantry and freezer and cook what you have instead of buying all new groceries. Find meals that are cheaper to make, beans will be your best friend! It can be hard to look at your spending and find things to cut, but think about if there are cheaper ways to do it, or if you even need it. If you don’t need it, get rid of it for now. 2. Find free activities to do. Of course by cutting your expenses it’s going to mean you are probably getting rid of some fun things you normally do. This doesn’t mean do nothing fun, just find free things to do. Use the time to get things done around your house, read, have friends over for wine night and use things you have around your house. Get creative in your activities and you’d be surprised how much you can do for no money. 3. Pay strictly minimums on everything. This can be hard to do if you’re trying to become debt free, but this needs to be held off until after the government shutdown is over with. Even if you have some money coming in from side jobs, it just isn’t worth it to put extra money to debt right now. There is no way to know how long this government shutdown will last and you’re better off paying minimums now and hoarding your cash until this is over. If you put extra money to debt now, but then need more money in a month and you don’t have it, you’re going to need to use debt. You’re better off paying minimums now and putting all cash aside to be used eventually if needed. Preparing for a future government shutdown. The reality is that this happens and can be prepared for in the event that it happens again. There are a few things you can do to prepare if you are a government employee. My suggestion is you need a 6 month emergency fund, at the least, a 3 month emergency fund. This is money that you don’t touch unless there is an emergency. By having this fund set for yourself, you will be able to live for a few months while not being paid. 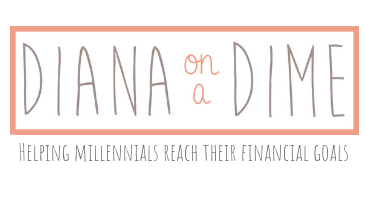 If you don’t have one, you need to create a budget ASAP! I personally recommend a zero based budget, but you need to do what works for you. By budgeting, you know exactly where your money is going and allows you to quickly make adjustments in the event of a shutdown. If you need help creating a budget, I have a template that you can use! You need to find ways to save money on the things you need to buy, like housing or your debt. I strongly believe in asking for lower interest rates or refinancing, especially for student loans. I personally recommend Earnest, use my referral link to get $200 when you refinance! Create other streams of income for yourself. I strongly believe in working multiple jobs, if one stream stops, you still have other streams coming in. This will allow you to still have money coming in, even when another government shutdown happens. Also, there are chances of increasing a stream in the event of a government shutdown. Create a plan to pay off your debt. The reason this is so important is because in the event of a government shutdown, your monthly bills will be much lower without any debt. 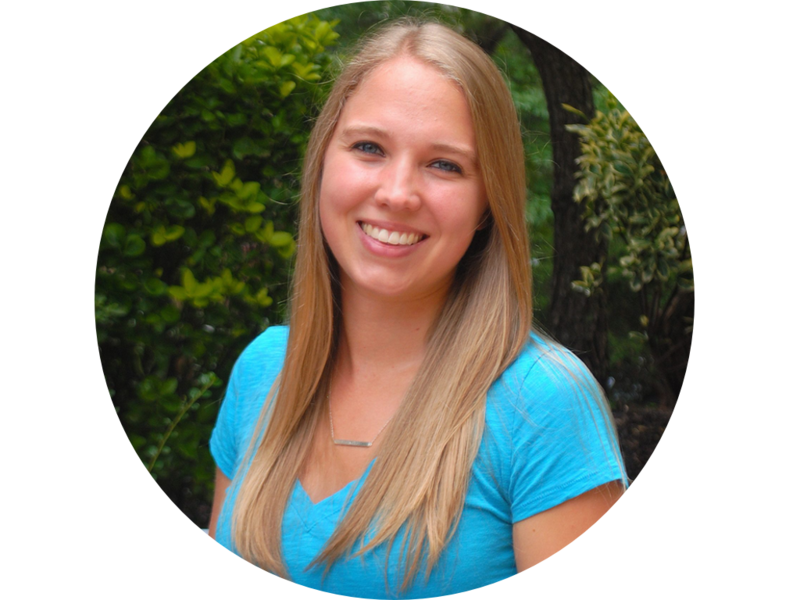 Undebt.it is a great debt payoff planner to use to help you get a plan in place to get your debt gone for good! Remember, we can prepare ourselves for a future government shutdown. This government shutdown has been the longest one in our history, but it doesn’t mean it will never happen again. I hope that this tips can help you get through this shutdown, and help to prepare you for a future government shutdown. If you have any questions in getting yourself prepared for a future shutdown, or getting through this shutdown, feel free to shoot me an email and I’d be happy to help! How has this government shutdown impacted your finances and how to prepare for this?